Welcome to this charming and newly remodeled home in the gorgeous New Valencia community! Filled with tons of character, this well-maintained Ponderosa home provides natural separation of space and privacy offering a bright living room with cozy fireplace, a formal dining room with vaulted ceilings and an open family room with natural light. A brand new kitchen with built-in nook and pantry includes new cabinetry, counters, subway tiling and stainless steel appliances. A beautiful park-like yard offers a private patio with newly manicured lawn and lush landscaping. Additional upgrades include remodeled bathrooms, new laminate floors and plush carpet, new paint, crown moulding, recessed lights, Nest thermostats and more! 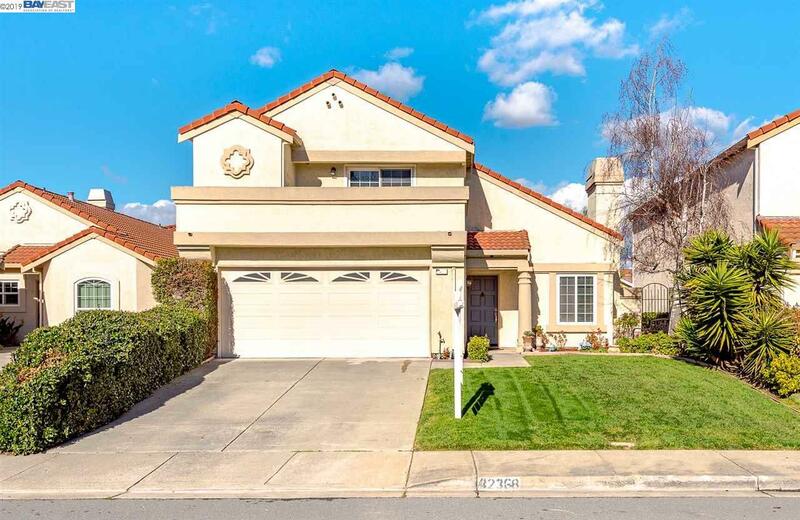 Located in a perfect central location with walking distance to Kitayama Elementary and very easy access to Union Landing, freeways and BART.